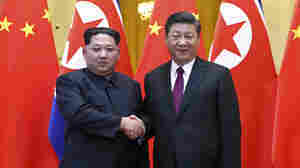 March 28, 2018  The visit to Beijing was Kim Jong Un's first foreign trip since taking power in 2011, and it follows North Korea's recent agreement to hold talks with the leaders of South Korea and the United States. March 27, 2018  If President Trump meets with North Korea's leader, one important player will be left out of the talks: China. China has welcomed the news. But privately, it has concerns about what might happen. If Necessary, China Has A Strategic Plan For A Trade War With The U.S.
March 22, 2018  China says it wants no trade war. 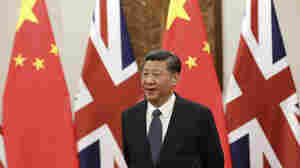 But it could retaliate, imposing tariffs on exports from the constituencies of U.S. politicians who support punishing China, ahead of midterm elections. March 14, 2018  In a land dominated for thousands of years by absolute monarchs, the move is historically significant and seen by Chinese liberals as a big step backward. March 11, 2018  China's legislature has voted to remove presidential term limits from its Constitution. That change allows China's current president, Xi Jinping, to potentially rule indefinitely. March 8, 2018  Florida lawmakers have passed a package of gun control measures. Also, we hear about how the Chinese government is responding to President Trump's talk of steel tariffs. 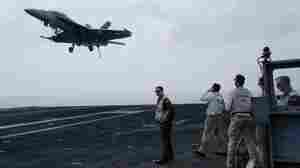 March 4, 2018  A U.S. aircraft carrier is visiting Vietnam, making it the first one since the Vietnam War. We're looking at that visit from two very different perspectives. March 1, 2018  The U.S. has assigned two Navy fleets to the Western Pacific for the first time since World War II as it tackles multiple challenges in the Asia-Pacific region. February 25, 2018  Currently, Chinese President Xi Jinping can serve no more than two terms. 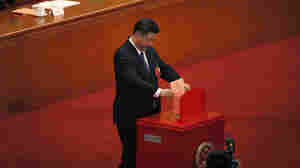 But China has proposed dropping term limits for presidents, which would allow Xi to stay in power for more than 10 years. February 18, 2018  Washington's man in Beijing, Terry Branstad, says he goes way back with China's president. February 16, 2018  Festivities have begun across the world for the lunar new year. Friday marks the beginning of the Year of the Dog in China. Can Ambassador Branstad's Relationship With China's President Ease Tensions? February 15, 2018  Ex-Iowa Gov. 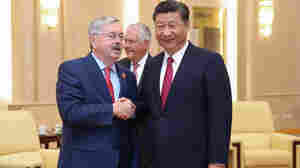 Terry Branstad enjoys special access to China's president from an old friendship. But, it's not clear if the relationship can stave off the headwinds the U.S.-China relationship faces.